A new common market is forming on Ukraine's borders and those of the EU. A customs union between Russia and its neighbors will cut business costs and make the region more attractive to investors. Slowly but steadily the Customs Union between Russia, Kazakhstan and Belarus is taking shape. In addition, it is becoming an attractive trade zone for its neighbors, including Tajikistan, Kyrgyzstan and Ukraine. Yaroslav Lissovolik, Chief Economist at Deutsche Bank, said the union is based on existing unions. Central to Russia's trading relationship with Ukraine is gas. The country is one of the biggest importers of Russia’s blue fuel, and the transit of Russian gas through Ukraine would be one of the trickiest issues on the negotiating table. 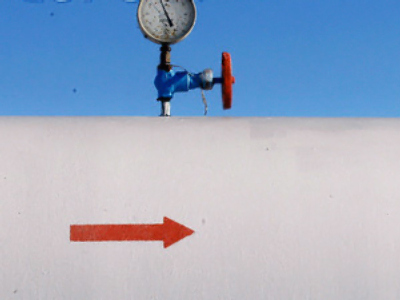 Russia might offer Ukraine cheaper gas under a customs union which could bring benefits for Russia too, says Aleksandr Nazarov, an analyst at IFC Metropol. Apart from gas, it would open the Russian market to Ukrainian goods and encourage foreign investment, says Deutsche Bank Chief Economist Lissovolik. An expanded and integrated single market with a combined population well over two hundred million would be of great interest to the EU and China and would change the existing import-export patterns. If successful, the union could provide a platform for another of Moscow’s long-cherished desires: to make the rouble the regional currency – similar to the euro.